Happy Birthday! It is a 4-n-1 combo unit with a birthday themed face. 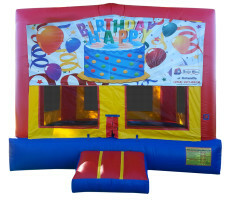 With 4 separate plays areas, your guests are guaranteed to have fun at your party.